Rökkur, which translates from Icelandic to Rift, is about Einar and Gunnar, two drama queens who are haunted by their recently ended relationship. 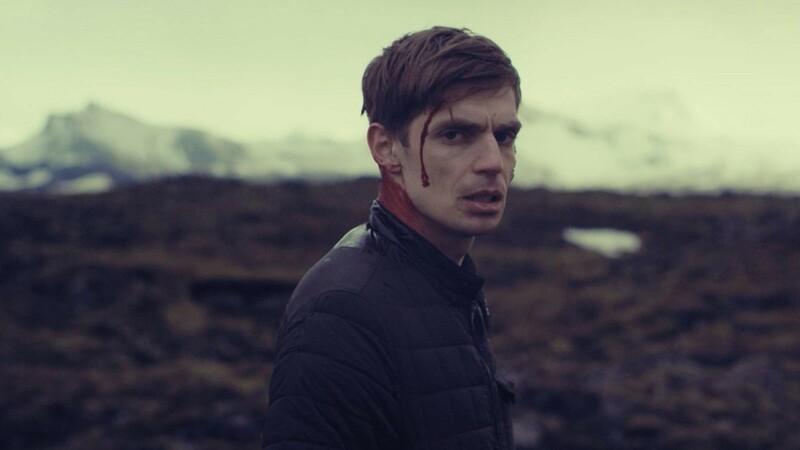 Months after their breakup, Einar (Sigurður Þór Óskarsson) retreats to a cabin under a glacier. One night, he drunk dials Gunnar (Björn Stefánsson), secretly hoping to rekindle the relationship they have lost. Gunnar visits Einar at the cabin (which is named Rökkur), and the two spend an ambiguous amount of time crying and moping and lollygagging around Icelandic vistas. Oh, and then there's a stalker. Or maybe it's a ghost. Or a Grindr hookup with a grudge. Whatever it is, it's definitely horny and violent, and in the absence of the stalker having a clear identity, my internet-addled brain made Rökkur's villain...the Babadook? While the Babadook is now forever associated with gay Twitter, The Babadook wasn't created as a gay-inclusive film—the movie was out for three years before Tumblr's "Babadiscourse" repurposed the Babadook as a queer figure It's difficult to separate the Australian Babadook (if memes can even have a nationality) from Rökkur's stalker. But rather than being distractions, these similarities help launch Rökkur, and gay Icelandic narratives, into an increasingly international LGBT canon.